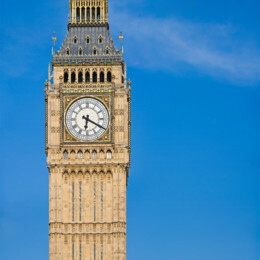 An influential committee of MPs are investigating the behaviour of price comparison websites. We have submitted evidence. Surprise, surprise we've found more hiding of deals and dodgy practices. Here's a summary. Price comparison websites are a major part of the energy landscape. They are household names who spend millions on adverts of meerkats, dancing robots and fat opera singers. The post-tax profits of the Big Five sites (Compare the Market, Go Compare, MoneySupermarket, uSwitch and Confused) have quadrupled since 2005 to £170 million in 2013. These sites put themselves forward as impartial advisers and 'consumer champions'. But in reality they act dishonestly, steering consumers towards those deals that earn them a commission and effectively hiding those deals that do not earn them a commission. Research carried out by The Big Deal over 13 weeks, including over 200 screenshots, found that the Big Five price comparison sites all hid the cheapest deals from consumers, many for weeks on end. Several sites including Which? and Energylinx did the right thing and stopped hiding deals immediately after the release of our research in October 2014. 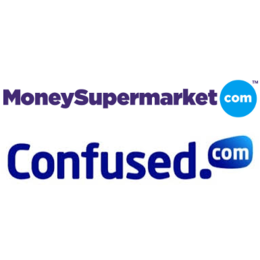 It wasn't until the second week of January 2015 that MoneySupermarket and Confused also stopped hiding deals. But three out of the Big Five switching sites have refused - Compare the Market, Go Compare and uSwitch. 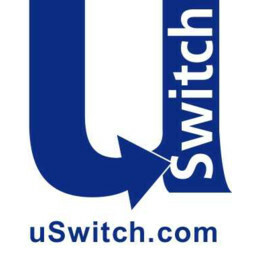 New Big Deal research shows that uSwitch - the biggest energy switching site - has been hiding the cheapest deal for the past three months and recently, on the 5thJanuary, four of the top five cheapest tariffs. This has cost the average consumer between £17 and £18. Just as importantly, the Big Five comparison sites refuse to publish how much commission they earn from each deal. Yet we have demonstrated that different levels of commission seriously affect their advice. There is a direct link between the level of intermediaries' commissions, the price of suppliers' tariffs and therefore the level of consumers' bills. The higher comparison sites' commission, the higher consumers' prices. That is why we need transparency on the level of the comparison sites' commissions - it will force comparison sites to compete. Competition should service to drive down costs - and commissions are a significant cost in the industry. When Big Deal asked suppliers for zero commission, we delivered a tariff that was cheaper than anything on comparison sites. A lack of transparency around commission raises questions about what these sites have to hide and further undermines trust in the energy industry. Polling carried out by Populus shows that a significant section of the public - 43% - are not aware that switching sites charge commission. As Tim Yeo, Chair of Energy and Climate Change Committee, said: "It's important that there should be complete transparency. We have at the moment a situation where there really is no trust from consumers in dealing with energy companies and if we find that the comparison sites, which have represented themselves as being neutral, objective advisers to consumers, if we find they're earning varying amounts of commission I think it's absolutely essential that all those sites should disclose, to people who use them, exactly how much commission they earn from any particular transaction." (Radio 4 You and Yours, 22nd December 2014). 79% think price comparison sites should automatically show all tariffs whether they receive a commission or not. Just 7 per cent disagree. 74% think sites should say how much money they make in commission from each energy provider. Just 5 per cent think they shouldn't reveal this information.